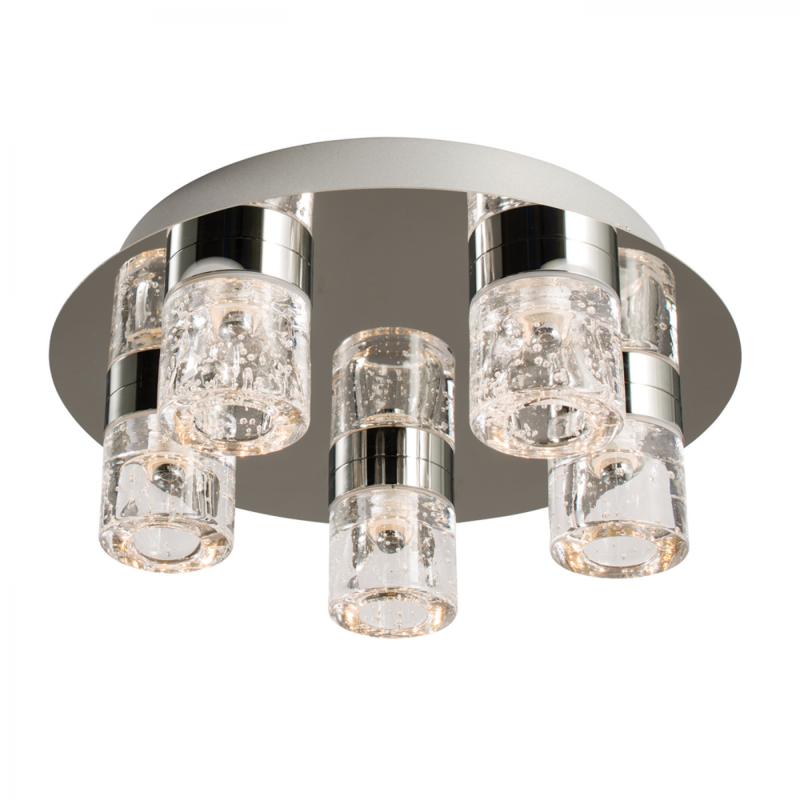 The imperial is a 5 light LED flush ceiling fitting finished in a chrome plate with robust glass bubble shades. Comes complete with an LED driver, IP44 so suitable for use within the bathroom. Low maintenance costs. Also available in a 3 light version. 11cm projection x 30cm diameter. Bulb information: 5 x 4W LED module (SMD 2835) Warm White - included - 3000k.